Some computer devices are able to function as both input and output devices. This article will look at some of the more common devices and their uses. A MIDI (Musical Instrument Digital Interface) connection makes it possible to connect a range of musical instruments or devices, including electric keyboards, synthesizers, guitars and mixers, to a computer system. Often, computer sound cards will also include a built-in synthesizer as well, making it possible for them to produce MIDI sounds. It’s also possible to connect MIDI devices to each other, before connecting them to a computer system. 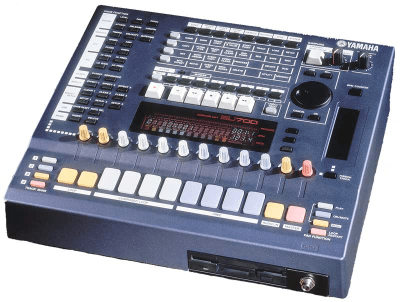 MIDI devices can be connected to a computer system through a variety of ports, depending upon the manufacturers design. MIDI to USB Interface, MIDI to Serial and MIDI to Firewire connections are the most commonly used and allow faster communication between the musical instrument and the computer or controller device. A headset combines both headphones (audio output) and a microphone (audio input). Headsets can be used to take part in online meetings, online gaming with other players and to use with applications such as Skype. Keyboard, video & mouse (KVM) switches are devices that enable a user to control multiple computer systems with a single keyboard and mouse, each of which sending their display to a single monitor. This setup is particularly useful when managing test environments or accessing multiple servers that have no requirement for a dedicated set of input devices or display. KVM switches mostly use USB or PS/2 connections and generally come in desktop, inline or rack mount versions. Some of the higher end rack mount KVM switches can be uplinked so that they can be connected to dozens of computer systems. Touch screens are perhaps one of the most common types of input/output device in today’s technological world, being used in mobile devices and laptops, point-of-sale terminals in fast food restaurants and some ATMs. Touch screens are commonly controlled simply by the user touching the screen with their fingers, but there are some which make use of a stylus to perform the same tasks. Touch Sensors: The touch screen sensors are typically either a panel that lays over a standard display device or can be built into the monitor itself. In terms of the user, operation of both works in the same way. A Controller: if the touch screen is using an overlay panel, the controller connects to the touch panel and then to the computer system port. Typically, these use a COM or USB port, although in certain circumstances the controller may connect to another port, device or drive. In the case of built in touch sensors, the controller is built into the monitor itself and the monitor carries two cables instead of the usual one which connects to the VGA or HDMI port on the system. The second cable attahed to the monitor will normally connect to the COM or USB port, although there are circumstances where it may connect to an alternative. A Device Driver or Specialised Software: This enables the computers operating system to interpret the information sent to it by the touch screen device. Smart TVs are classed as hybrid devices. Smart TVs are television sets that have web and internet features built into it, accessible through the use of voice commands or via the remote control. In the vast majority of cases, there is no need to connect other devices to the television in order to perform the functions. At first glance, this may appear to be a good use of such technology but some devices are not being continually updated as new features from content providers is made available. However, other manufacturers are continuing to provide updates for applications and firmware so that they continue to remain fully functional. Set-Top Boxes take video content and then convert it into a format that can be viewed on a normal television. They are also known as streaming players or media players. Traditionally, set-top boxes were utilised by cable television companies to descramble the broadcast signal so that only paying, authorised customers could view the offered television programs. Similarly, satellite television providers also have a set-top box that acts as a ‘descrambler’ for the information which allows over-the-air content to be viewed. it’s also possible to purchase set-top boxes that are not specifically connected to a cable or satellite television provider. Such examples are Apple TV, Amazon Fire TV and Google TV. These devices differ in that they make use of WiFi or Ethernet connections to access the Internet so that content from providers such as Netflix or Hulu can be viewed. Some set-top boxes also include built-in Internet browsers. In the vast majority of cases, these devices are connected to televisions through coaxial or HDMI connections.